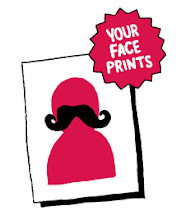 - Find a photograph of your face. It helps if the image isn't too dark or too small and doesn't have part of your head cut off but I'll work with practically anything. - email it to yourface[at]damienweighill[dot]com along with your name. Some people take the chance to tell me something about themselves in the hope that this will find its way into their portrait. It's up to you if you want to do this - sometimes that sort of thing influences the portrait. One thing is for sure though, if you ask specifically for your portrait not to include any added facial hair then you are definitely going to get a seriously massive beard! - Wait (patiently) for your portrait to be uploaded. You will receive an email letting you know when your portrait has been uploaded but you could always subscribe to the rss feed to be sure you don't miss it.